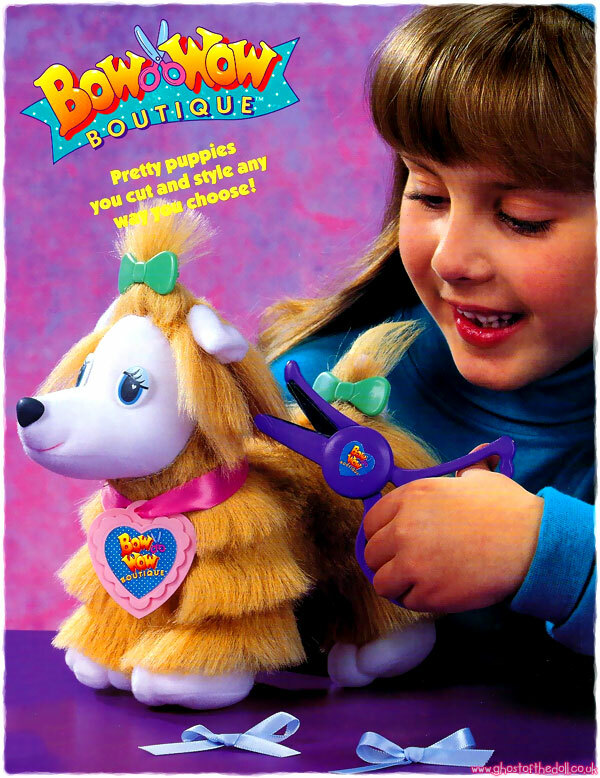 "Cut and style your puppy any way you choose!" 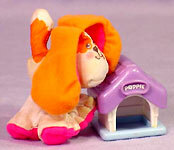 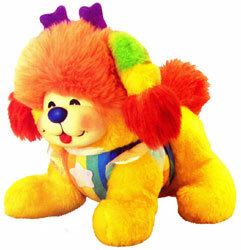 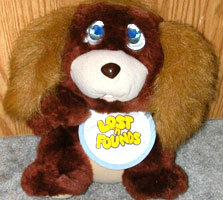 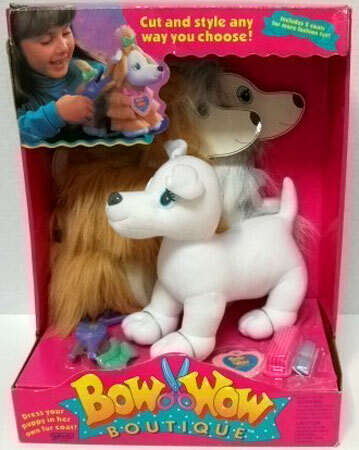 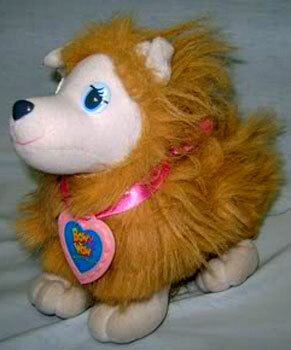 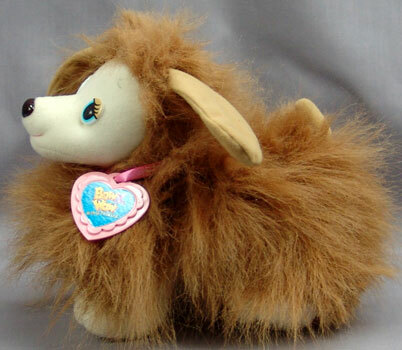 Bow Wow Boutique was produced by Galoob in 1991-92. 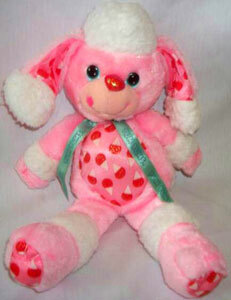 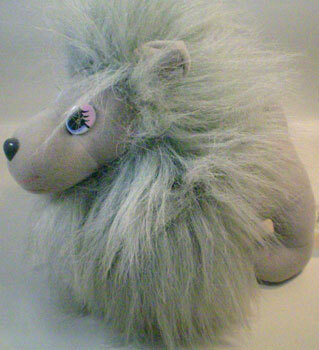 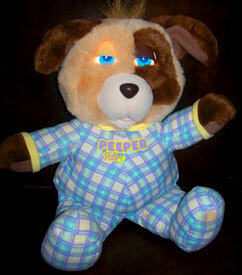 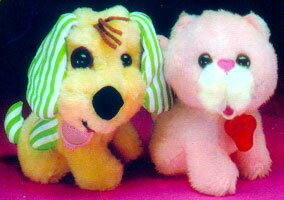 It was a very small series of soft fabric 9 inch puppies with fur coats that could be cut and styled. 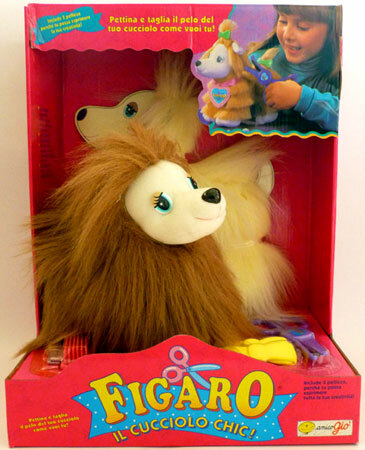 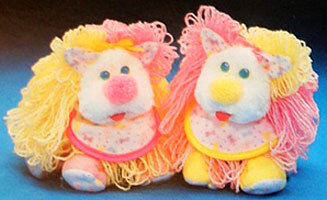 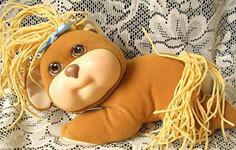 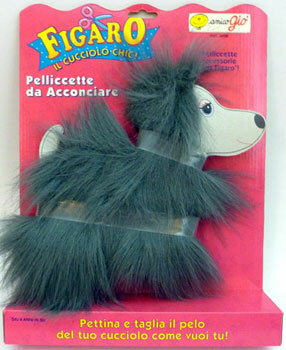 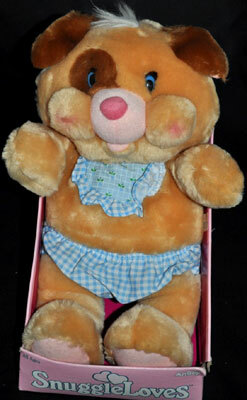 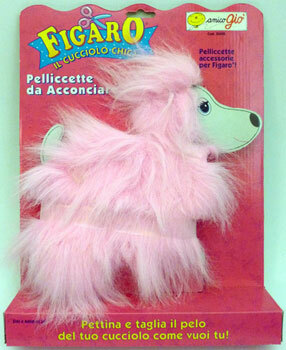 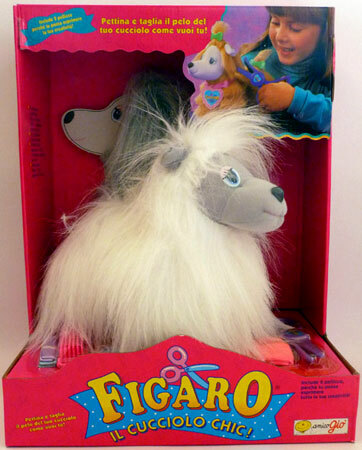 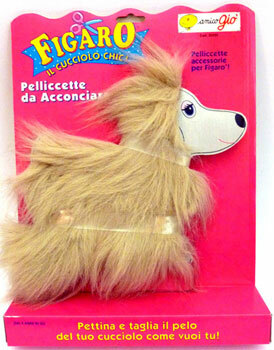 They were sold in the US and also in Italy, where they were called "Figaro Il Cucciolo Chic!" 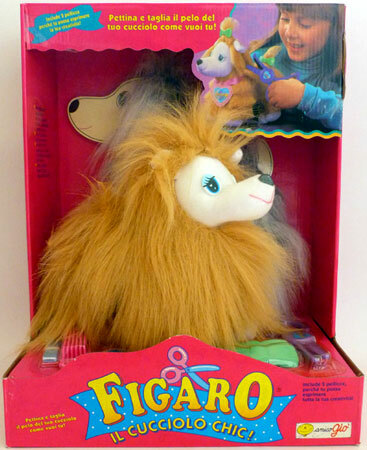 and produced by Galoob/Amico Gio. 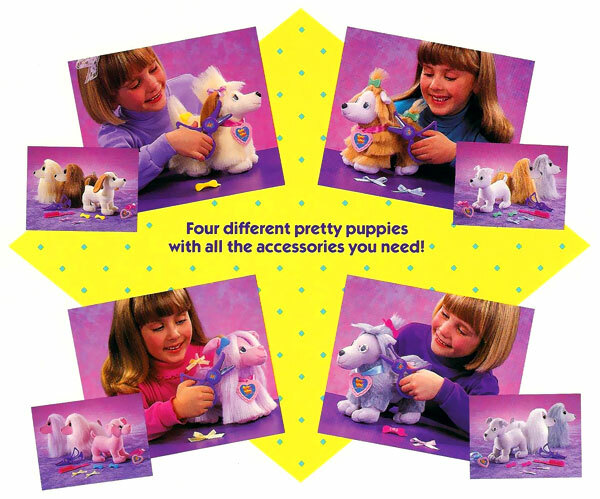 Images on this page thanks to eBay sellers tonnellatedigiocattoli , jonkerino1 , wellington_100 , BaddogsStuff , dreamchest2 , ourclosetsales , daydreamsa & vintage_toys_and_treasures ! 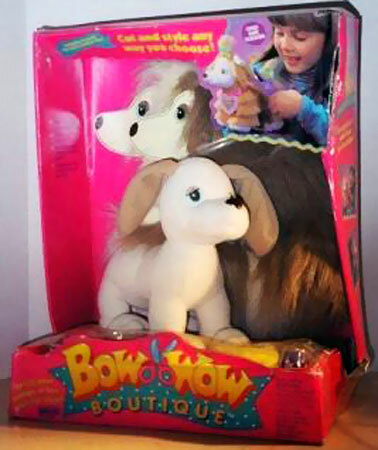 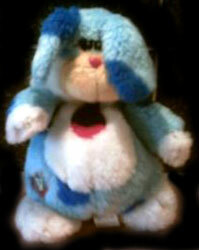 View all Bow Wow Boutique on eBay.com , eBay.co.uk or Amazon.com ! 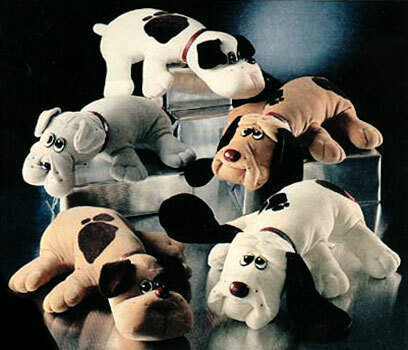 There were four puppies produced, each coming with two fur coats and various accossories (shown lower down). 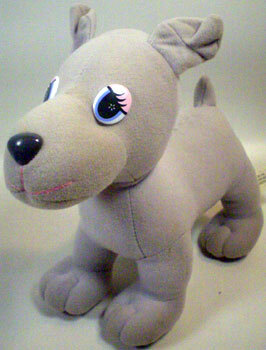 The grey puppy came with a white coat and grey coat. 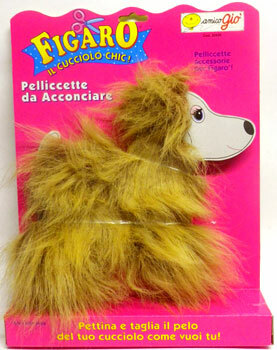 The beige puppy came with a brown coat and beige coat. 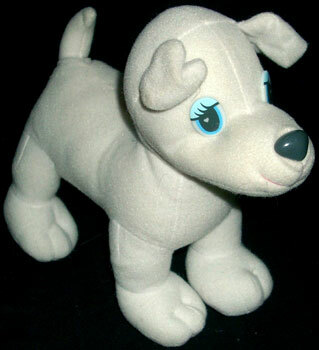 The white puppy came with a tan coat and grey coat. 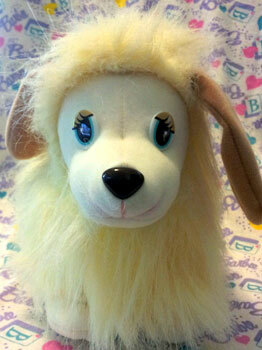 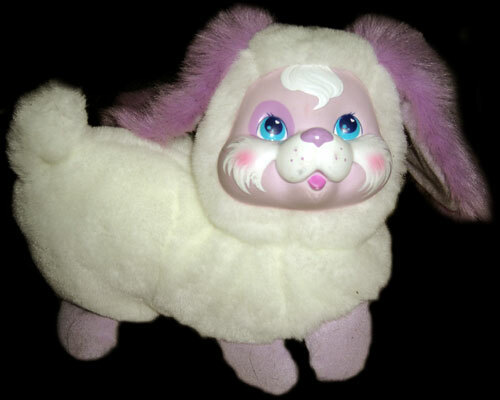 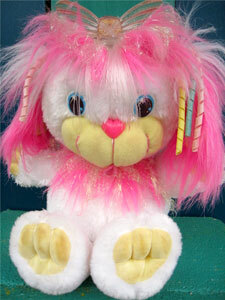 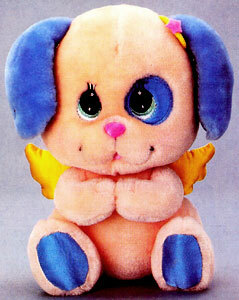 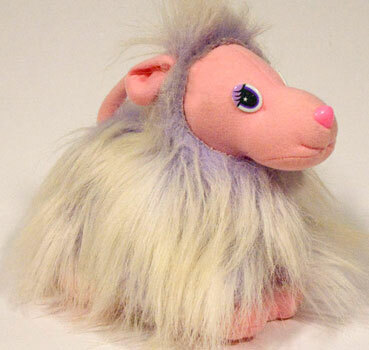 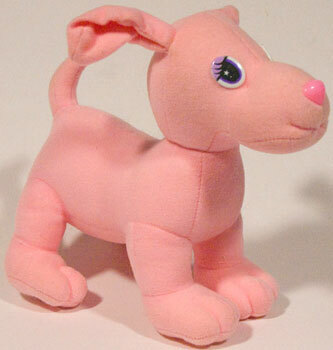 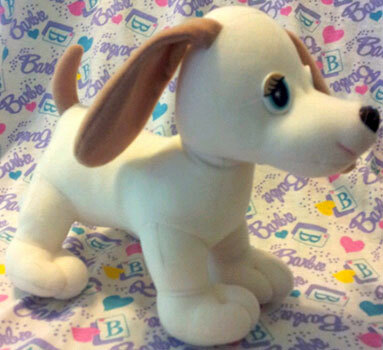 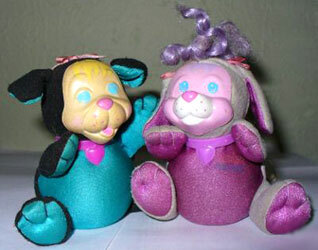 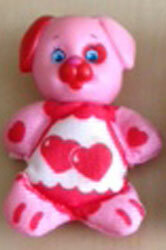 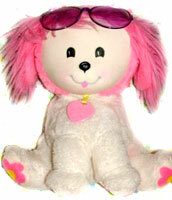 The pink puppy came with a two-tone white and purple coat, and a second coat I have yet to identify. 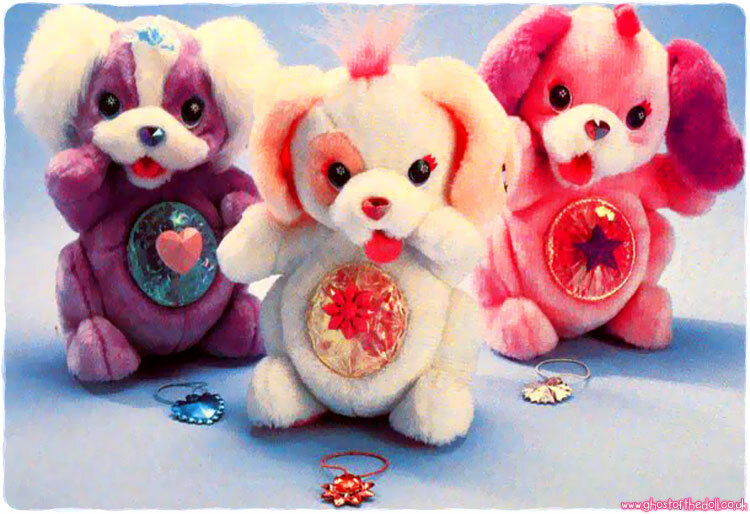 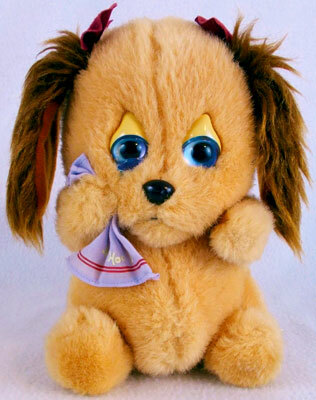 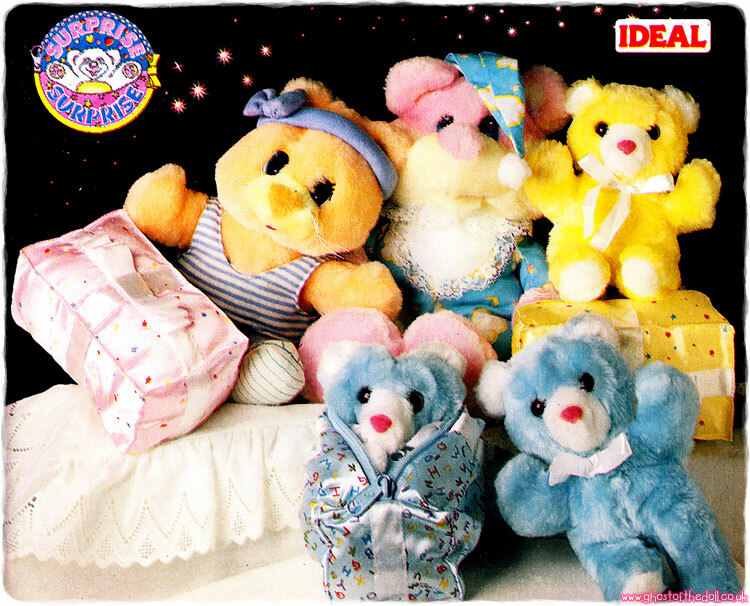 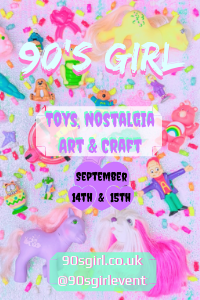 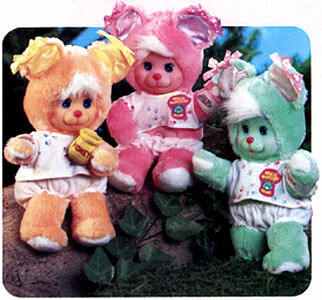 Each set came with one puppy, two removable fur coats, a pair of purple scissors, a punk grooming brush, blue, yellow, pink or green plastic bow hairclips, a fabric ribbon and pink heart shaped tag. 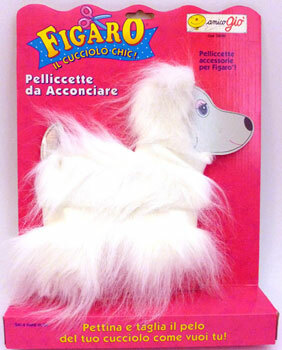 "Extra fur coat to dress up your Bow Wow Boutique puppy!" 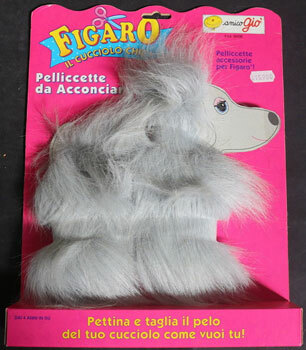 There were at least six extra fur coats produced, sold in both the US and Italy.